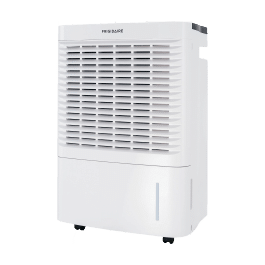 Hisense DH-70KP1SDLE Energy Star 2-Speed Dehumidifier comes with an in-built pump, which pumps water upwards for its continuous draining from the unit. It is Energy Star certified and removes up to 70 pints of moisture effectively from any space within a dimension of 1500 square feet. 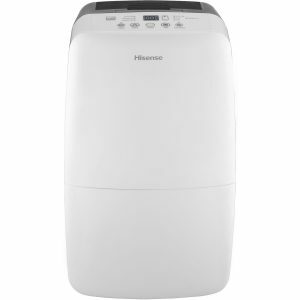 This Hisense 70-pint dehumidifier operates in three modes: auto-dry, continuous and manual. It is a versatile choice owing to the built-in pump feature. 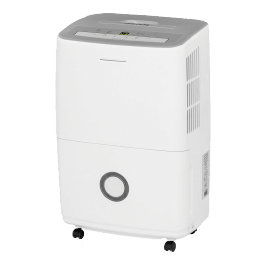 The adjustable humidistat, 24-hour timer and the full tank alert feature makes it an ideal choice amongst several dehumidifiers for sale being offered in the same price range as this unit. 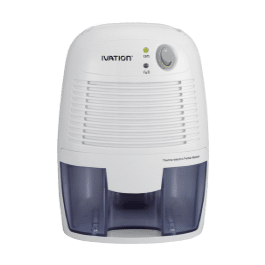 This is the best dehumidifier for basement or for use in rooms. Relative humidity is shown by digital display. The auto-restart feature restores the previously used settings during power disruption. The device features a washable air filter. The caster wheels make movement of this unit quite easy. Read this Hisense DH-70KP1SDLE Energy Star review to know more about the impeccable features being offered with this unit. Hisense DH-70KP1SDLE Energy Star has got the ability to remove up to 70 pint moisture from air per day. You can operate this unit in temperature as low as 38 degrees Fahrenheit. It has a nice digital LED control panel which allows you to control these units easily and gives you the option to adjust the level of humidity. It has a built in pump for continuous drainage through a garden hose. You can easily move these units from one place to another through their easy roll casters. Three fan speeds are featured by this unit: auto, low and high. The speed of the fan is adjusted automatically based on the difference between the relative and the set humidity. This is an ideal feature for people who do not wish to take the pain of altering the speed. This dehumidifier features auto and continuous mode. The continuous mode can be set for maintaining the ambient humidity of the air. This setting is ideal for severe cases of humidity. The auto mode sets the level of humidity to 50% and also sets the fan speed to auto. This imparts flexibility to the unit operation which makes it ones of the best 70-pint dehumidifier. This makes it possible for the user to be aware of the modes in which the unit is operating. It clearly displays the temperature and the level of humidity in the environment which makes it possible to make use of the exact settings. Integration with electronic control makes it convenient for the user to control the percentage of humidity in the space by making adjustments in the settings. The control buttons can be varied for making appropriate changes. For convenience of the users, the timer, mode, fan and power have been laid out in a horizontal manner. This dehumidifier unit has been designed to operate at low temperatures. This renders the unit ideal for use in crawl space environments. This dehumidifier unit comes with a washable air filter. This eliminates the need for replacing the filter occasionally as the user can access the filter and wash it. This would prolong the life of the air filter. Hisense DH-70KP1SDLE Energy Star can be drained with the use of gravity drainage feature. For this, the user needs to connect a garden hose to the drainage connector within the unit. This makes the process of water removal much easier than manually emptying the reservoir. This Hisense DH-70KP1SDLE Energy Star review highlights the ease of operation of this device. This dehumidifier features a two tone looks and there have been no complaints from the users regarding the aesthetics. The unit is portable. The additional features and the LED display makes operating this dehumidifier quite convenient. 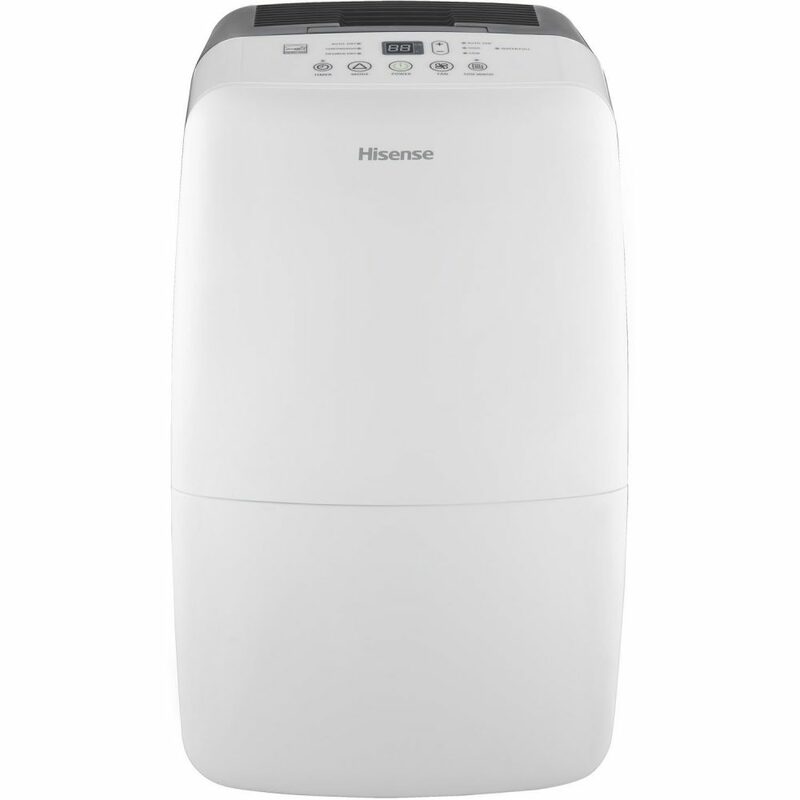 Hisense DH-70KP1SDLE is an energy star certified dehumidifier which means it consumes less energy compared to others. This unit is less expensive to operate and eco-friendly. A 1-year warranty is offered on this dehumidifier unit by the manufacturers. 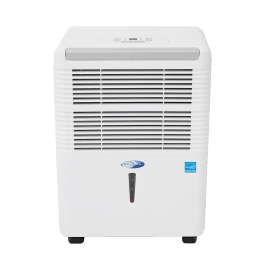 The sealed system does not carry any additional warranty which is the case with most of the 70-pint dehumidifiers available in the marketplace. The warranty is offered against the defects in workmanship and materials to the original purchaser of the unit. Once the period of warranty has expired, the customer has to bear the labor charges incurred. A proof of purchase has to be offered to the service team to prove whether the product is being governed by warranty or not. Read this Hisense DH-70KP1SDLE Energy Star review further to know more about the availability of its replacement parts. Replacement is offered by the manufacturer for parts of this dehumidifier unit. The part is replaced or repaired by the manufacturer if found defective. The refurbished or rebuilt functional parts for the dehumidifier unit is offered by the manufacturer in exchange for the part that is defective. The service team needs to be contacted for the purpose. If we look into other Hisense dehumidifier reviews, we’ll notice this Hisense dehumidifier barely has drawn negative reviews from the users. This implies that the unit is quite reliable and durable. It is highly versatile, adjustable and offers value. If you are looking for a dehumidifier for basement, then this would be a wonderful option. The variable fan speeds, auto mode and the continuous mode feature draws excellent dehumidifier ratings for this unit. 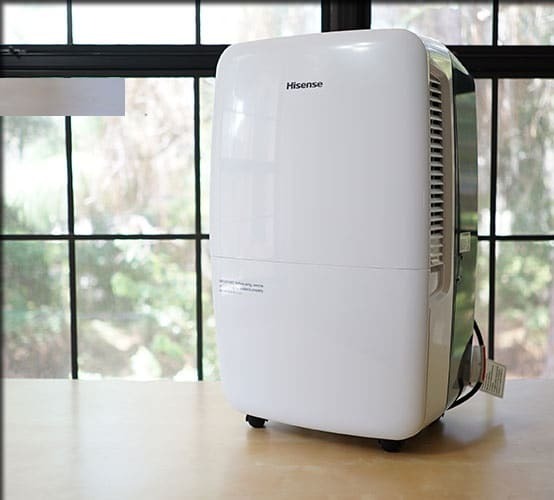 The only concern that people have demonstrated in their Hisense dehumidifier reviews is the effectiveness when it comes to moisture removal. This is where it scores little less. The unit is slow when it comes to operation, although it is a quiet dehumidifier in the 70- Pint range. This is an excellent unit for obtaining a fresher and cleaner air. 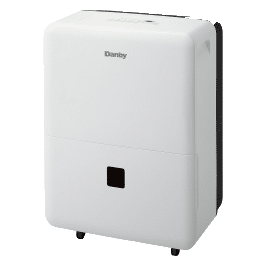 We hope you have got a clear understanding of this top-notch dehumidifier with this review and it was one of the best Hisense dehumidifier reviews you’ve come across. I blog often and I truly appreciate your content. Your article has really peaked my interest. I’m going to bookmark your blog and keep checking for new information about once per week. I subscribed to your RSS feed too. It really feels great to have a dedicated visitor like you. Hope to talk to you again. Pretty words made my day.